My experience has been incredibly diverse, bridging every type of graphic design including: web, packaging, editorial, illustration, prepress and infographics. Art direction, photography and print production. While working on contract for Everland, I pitched a new more modern approach to their sauces. Original design can be viewed here. Responsible for redesign of packaging. Simplified design to achieve better legibility and incorporate west coast imagery. Prepared final files to be printed overseas. 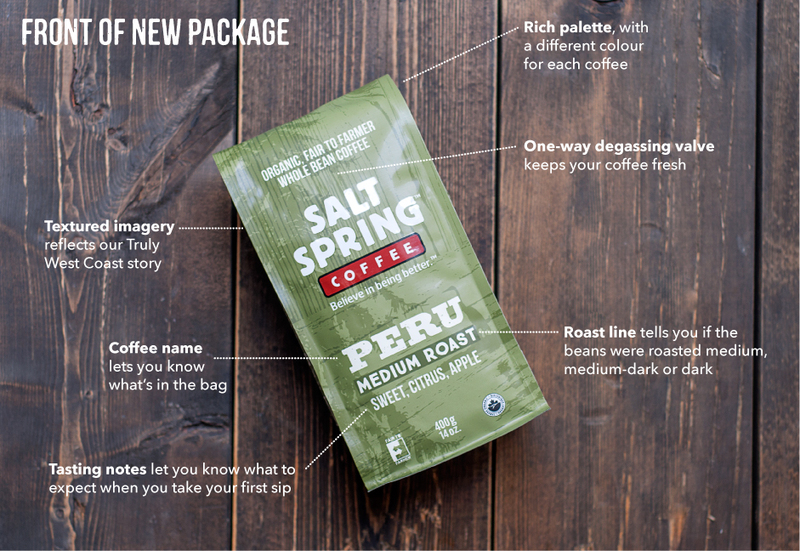 Read more about the packaging redesign here. Developed print ad to highlight new taste, colour and packaging for Village Trade Blend coffee. 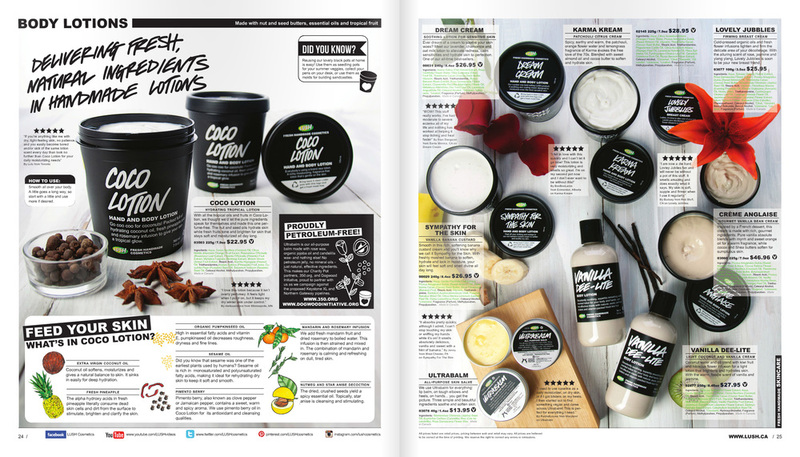 While working with LUSH Cosmetics, I was part of the collaborative editorial team working on the quarterly catalog. Involved in the planning, photography and layout of the printed piece. Art Direction, Photography and production design for LUSH Ad. Art Direction, Photography and production design. While working with LUSH Cosmetics, I was part of the collaborative editorial team working on this quarterly catalog. I was involved in the planning, photography and layout of the printed piece. I partnered with Sciué Cafes to create food photography, print design, web design, social media and in-store signage. While working in-house for Bootlegger, I did everything from merchandising to print design to high-end digital retouching. I helped Growing Chefs design their first printed report in 2013. The rest of the report can be viewed here. Original design created from watercolour illustration. Product was sold in LUSH Stores across North America in 2013.